Probably no sport has had a rougher decade than pro-cycling. With most of its recent champions disgraced by doping scandals, there should at least be opportunities for young emerging cyclists. Unfortunately, three former teammates cannot all be champions. However, the sport itself should definitely benefit from the treatment it gets from Hong Kong action auteur Dante Lam in To the Fore (trailer here), which Magnum Films just released in New York. Chiu Ming has power. Qiu Tian is a plugger who can climb. Together they are perfectly matched “lead-outs” who should be able to guide the Taiwanese Team Radiant’s star Korean sprinter Ji-won to victory. Unfortunately, just when they start gelling as a team, their sponsor leaves their owner-manager high and dry. Suddenly free agents, they each sign on as sprinters for competing teams. Ji-won is already on the verge of advancing to next professional class, but Qiu is physically unsuited to his new role, while Chiu has trouble controlling his emotions. 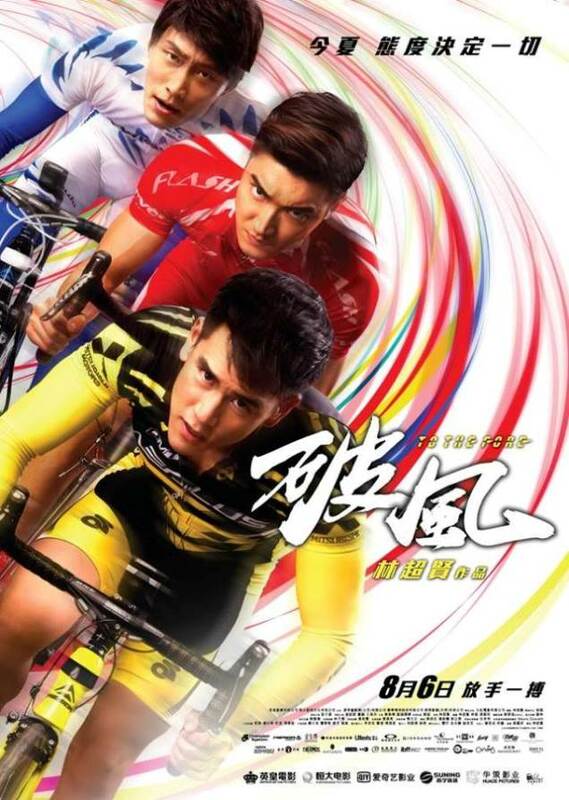 In between some spectacularly cinematic races, Chiu and Qiu will also compete for the affections of Shiyao, a Mainland indoor track racer recovering from a pulmonary embolism. If you enjoy cycling, Lam brings the goods with authority. Although there is no fighting per se, his action chops still serve the racing sequences remarkably well. Lam makes it easy to follow the team strategy as it unfolds, while cinematographer Pakie Chan captures the in-race events with remarkable clarity. Lam and co-screenwriter Silver Lam Fung also shrewdly vary the competitions, making their way through the streets of Kaohsiung City, the Italian Alps, a mobbed-up betting track in Busan, and the Tengger Desert. Naturally, each course has its particular challenges. Somehow, Lam and company manage to steer clear of most of the moldiest sports movies clichés. The interpersonal stuff is still fairly workaday stuff, but Wang Luodan elevates the material as the reserved but engaging Shiyao. Eddie Peng does his cocky Taiwanese Tom Cruise thing as Chiu, but it fits the part. Choi Si-won has the least room to stretch as Ji-won, the Iceman to Peng’s Maverick, but he certainly has the appropriately cool look. However, Shawn Dou manages to scrape out a rather impressive character development arc as Qiu. Regardless, To the Fore is really all about the cycling. Despite the potential repetitiveness, Lam keeps the energy level cranked up and establishes meaningful stakes for each and every race. It is a great looking film that fully capitalizes on its diverse panoramic locales. Recommended for fans of cycling and sports films in general, To the Fore is now playing in New York at the AMC Empire.